Card Review: 9.3 This clean, simple design and boring photo is fine for an All-Star card card. 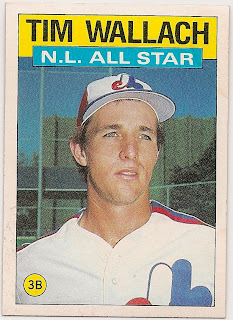 This was card was immediatly remains one of my favorites upon first pulling it from a pack in 1986, and remains so today. 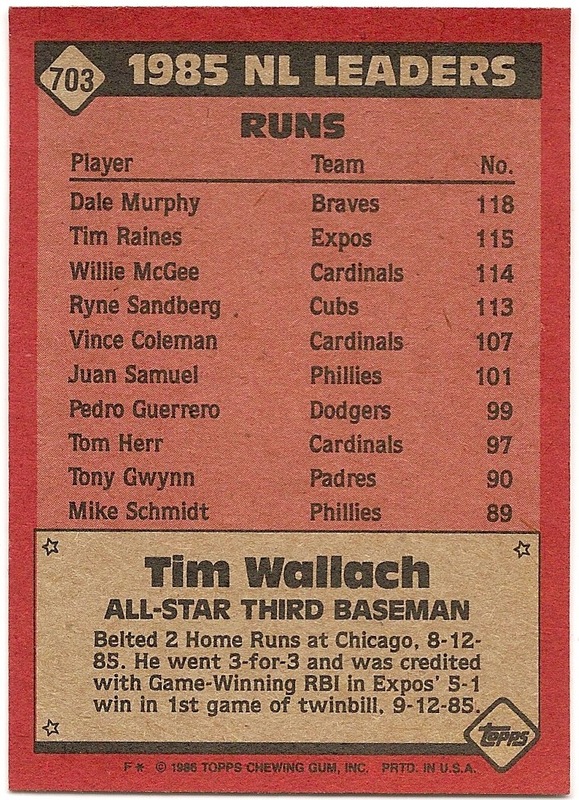 I always loved the Topps All-Star subsets, and more often than not was dissappointed when Wallach wasn't included. There was in fact, no correlation between being an actual All-Star and inclusion in the Topps All-Star subset. A fact that eluded me until nearly twenty years later. 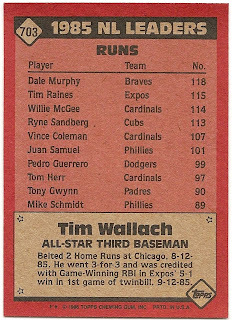 So the fact that Wallach was only included twice despite being a 5x All-Star, was not an "omission" by Topps. *This photo (or photos from this same shoot) were used on a couple of other cards.